The Importance Of Speedy NHS Treatment Can NOT Be Over-estimated! lets look at Heart Attacks in a little more detail, and just how important speedy attention is.One can but hope that someone in the Welsh Health Service reads this article – someone in a position to bypass and thus overcome the crass mismanagement of the Welsh EU Regional branch of the British NHS, under Labour control in the devolved misgovernance that goes with EU regional Assemblies! I well remember the staggering incompetence of the NHS at The Royal Gwent when I suffered my heart attack – how I survived their utter mismanagement, tardy diagnosis and utter incompetenc is something of a miracle.It is not just emergency care through A&E or MAU I have experienced unconcionable delays in SAU also – not to mention presenting with classic symptoms of urinary tract cancer in November 1997 yet they took until July 2001 to make a diagnosis and even then it was only the intervention of Daniel Foggo, a perspnal friend and leading investigative journalist for then The Sunday Telegraph, quizzing the Gwent as to why the delay in operating for a radical open nephrectomy by September 2001. My Consultant informed me that I was very lucky as the cancer was on the verge of breaking out of the kidney to make survival extremely unlikely and that my life had been saved by Daniel’s intervention! Then again a few years later whilst having bladder cancer dealt with via TURBC a sinister growth was noted and although I asked if the surgeon could immediately procede to remove it I was told it was ‘above his pay grade’ to make that decision, or words to that effect. I waited from the op on 31-Dec-2010 for a scan in Apr-2011 – by which time I had fully developed tumours in my abdomen and cancerous lymph glands which presented me with a life expectancy of 2 to 3 months!I was fortunate and whether by virtue of luck, harsh treatment, general constitution or attitude, or more likely a combination of the four I am still here today. In the treatment of cancer speed of action plays an all important part – however the treatment of Heart Attacks is even more dramatically dependent on wasting no time and acting as rapidly as possible, as shown in the articles below. How I survived a Heart Attack at 06:15hrs. 19-N0v-2012 I will never know, a Heart Attack that went totally untreated by the NHS in the hopelessly mismanaged Labour controlled devolver Welsh EU Assembly Region as I drove myself from my Doctor’s in Chepstow to find parking and find the MAU in the Royal Gwent in Newport, where I waited around for hours in pain and was even told to walk some distance to the radiology dempartment to wait yet further for a scan before finding my way back to MAU – actual drugs to try to curb the pain and deal with the heart attack were not administered until around 03:00hrs. 20-Nov-2012, the following morning! rich and poor have streamlined emergency treatment. 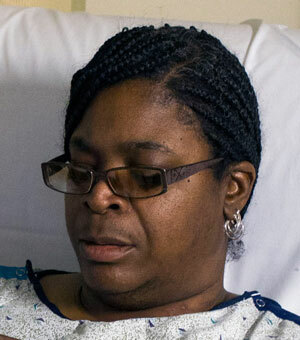 CAMDEN, N.J. — Yvette Samuels was listening to jazz late one night when she felt a stabbing pain down her left shoulder. She suspected a heart attack — she had heard about the symptoms from watching a Rosie O’Donnell standup routine on television — and managed to scratch on the door that connected her single room to her neighbor’s. He found her collapsed on the floor. Paramedics arrived minutes later and slapped electrocardiogram leads on her chest, transmitting the telltale pattern of a heart attack to Our Lady of Lourdes Medical Center here. Instead, she survived, her heart undamaged, the beneficiary of the changing face of heart attack care. With no new medical discoveries, no new technologies, no payment incentives — and little public notice — hospitals in recent years have slashed the time it takes to clear a blockage in a patient’s arteries and get blood flowing again to the heart. The changes have been driven by a detailed analysis of the holdups in treating patients and a nationwide campaign led by the American College of Cardiology, a professional society for specialists in heart disease, and the American Heart Association. Hospitals across the country have adopted common-sense steps that include having paramedics transmit electrocardiogram readings directly from ambulances to emergency rooms and summoning medical teams with a single call that sets off all beepers at once. 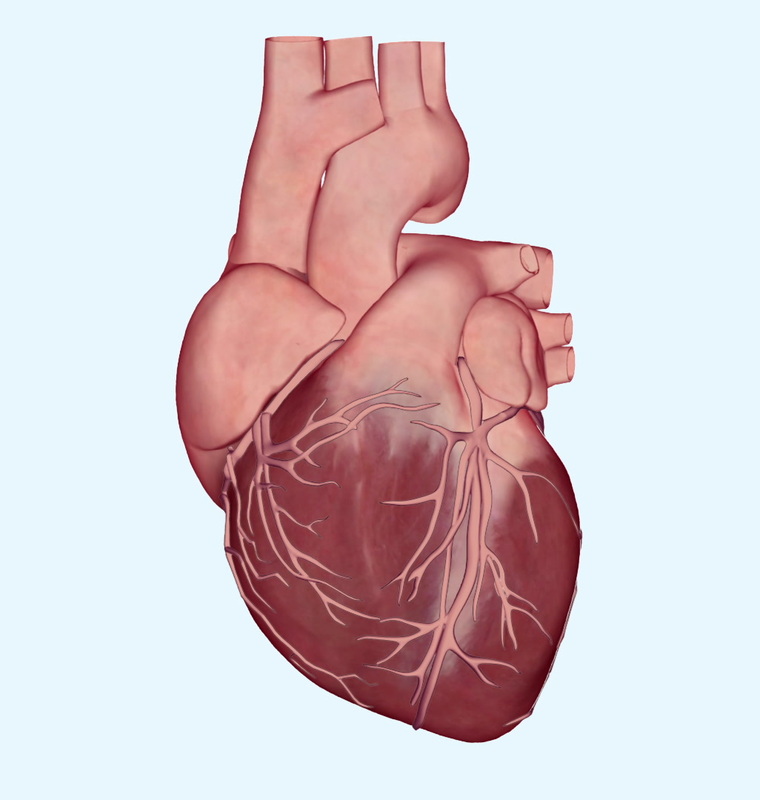 The heart has four chambers, which are separated by valves and surrounded by muscle. The right side pumps blood back to the lungs for more oxygen. The left side pumps oxygen-rich blood through the body. Cardiac arteries supply oxygen-rich blood to the heart muscles. If an artery becomes clogged or blocked, the downstream muscle is starved of blood. This is a heart attack. From 2003 to 2013, the death rate from coronary heart disease fell about 38 percent, according to the American Heart Association citing data from the Centers for Disease Control and Prevention. The National Heart, Lung and Blood Institute, the primary federal agency that funds heart research, says this decline has been spurred by better control of cholesterol and blood pressure, reduced smoking rates, improved medical treatments — and faster care of people in the throes of a heart attack. “It may not be long before cardiovascular disease is no longer the leading cause of death” in the United States, said Dr. Michael Lauer, the director of the Division of Cardiovascular Sciences at the National Heart, Lung and Blood Institute. 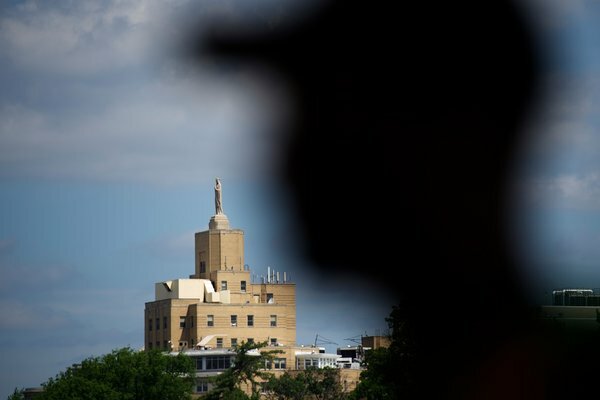 And care has improved not just in elite medical centers, but in local hospitals like Our Lady of Lourdes, here in a city littered with abandoned buildings and boarded-up homes that is among the poorest in America, according to the Census Bureau. Disparities that used to exist, with African-Americans, Hispanics and older people facing the slowest treatment times, have disappeared, Dr. Harlan Krumholz, a cardiologist at Yale, and his colleagues said in a paper in Archives of Internal Medicine. The reinvention of protocols to hasten treatment is part of a broad rethinking of how to tackle coronary heart disease, which accounts for one of every seven deaths in the United States or 375,000 a year. Just this month, powerful drugs from the first new class of medicines to lower bad cholesterol levels in a generation neared approval by the Food and Drug Administration, raising hopes that they will further reduce the death rate from heart disease. At the same time, new, less invasive methods for replacing aged heart valves are raising hopes that ailing patients will be able to live longer. And researchers are immersed in resolving issues that remain unsettled: the utility of stents to treat the heart pain known as angina and the ideal level for blood pressure. 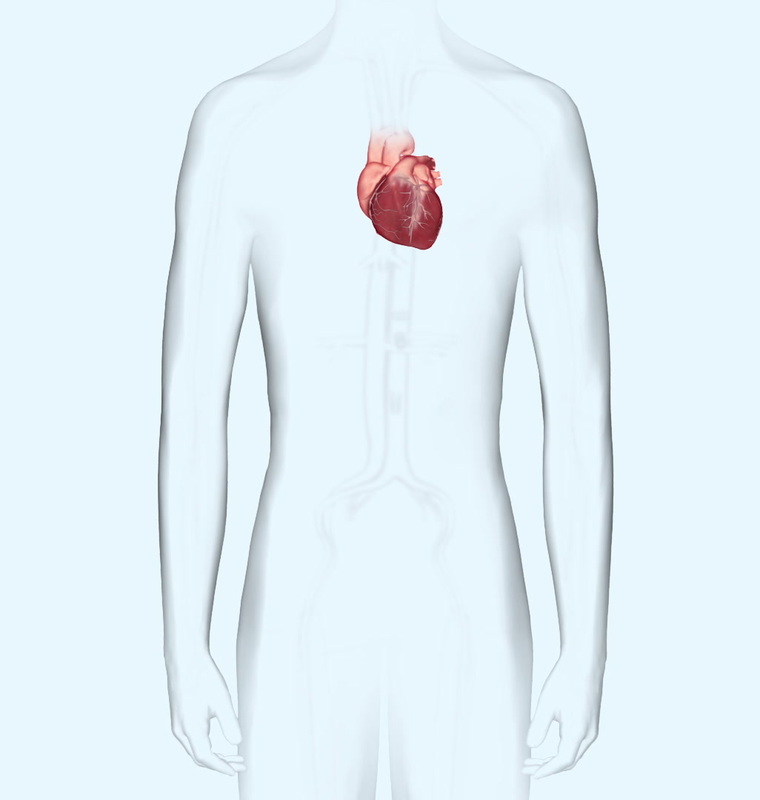 In a heart attack, a blocked artery prevents blood from reaching an area of heart muscle. At first, cells are merely stunned, but as minutes tick by, they start to die. The way to save the heart is to open the blocked artery by pushing in a catheter, inflating a tiny balloon that shoves the blockage aside, and holding the artery open by inserting a stent, a tiny wire cage. But leading cardiologists had despaired of reaching a national goal set by the American College of Cardiology and the American Heart Association of getting this done for at least half of heart attack patients within 90 minutes of arrival at a hospital. Often it took more than two hours for blood to flow to a patient’s heart again. Now, nearly all hospitals treat at least half their patients in 61 minutes or less, according to the most recent data from the American College of Cardiology. At Yale-New Haven Hospital, where half the patients used to have to wait at least 150 minutes before their arteries were opened, the median time is now 57 minutes. At the Mayo Clinic and at major academic centers like NewYork-Presbyterian Hospital, it is 50 minutes — a statistic that, amazingly, Lourdes matches. Some cardiologists still express sadness at the price many patients paid when care was much slower. Dr. Mahesh Bikkina, the director of the cardiac catheterization laboratory at St. Joseph Regional Medical Center in Paterson, N.J., tells his trainees about the old days: heart muscles that tore, with blood leaking out of holes, and valves that ruptured, leading to sudden death if not repaired immediately with open-heart surgery. Dr. Brahmajee Nallamothu, a University of Michigan cardiologist, said he remembered patients who became cardiac cripples after long delays in receiving treatment, their hearts so damaged that the slightest exertion exhausted them. “What I feel about this, what is really meaningful to me, is when we finally stopped saying, ‘You know, this stuff happens,’ and started taking control and saying, ‘This is not acceptable,’ ” Dr. Nallamothu said. The improvements in treatment have spilled over into the care of stroke victims. Neurologists watched with envy as cardiologists slashed their times. For strokes, too, the time it takes to be treated with the clot-dissolving drug tPA is of the essence. “Time is brain,” neurologists say. They began to copy the cardiologists. The payoff from the changes has been breathtaking, experts say. No city seemed more in need of improved heart care than Camden, where 42 percent of the population lives in poverty and heart disease risk factors abound, according to various studies. Obesity is rampant, as are high cholesterol levels, high blood pressure and smoking. A quarter of the population ages 50 to 59 who were hospitalized for any reason had diabetes. The vast majority of residents are Hispanic or African-American, groups with a relatively high prevalence of heart disease. 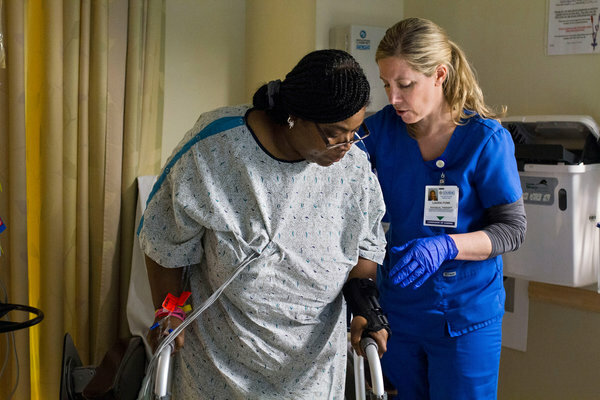 Most Camden residents having a heart attack are rushed to Lourdes, a medium-size Roman Catholic hospital founded in 1950 by the Franciscan Sisters of Allegany to serve the poor. It looks like a bisque-colored wedding cake perched high on a hill, with a statue of the Virgin Mary on top, hands folded in prayer. Its beige corridors are hushed, with no crackling intercom announcements to disturb the quiet. The staff members say they have a mission to serve their patients with reverence. Some have roots that go deep. One nurse, Brian Shannon, was born at Lourdes, as were his children. His mother worked there as a nurse for 35 years. The Lourdes cardiology department has long felt pretty cocky about how it was doing. Heart care is the hospital’s specialty, and without its revenue, said Dr. Reginald Blaber, who runs the medical center’s cardiovascular disease program, Lourdes would have to close its doors. Articles in this series will explore new approaches to treating heart disease. In 2007, the first year of a national campaign to speed treatment, half the patients at Lourdes waited at least 93 minutes before their arteries were opened. By 2011, Lourdes had a median treatment time of 71 minutes. But at a staff meeting that year, Dr. Blaber challenged members of his team to do better. He pointed out that 16 percent of patients had to wait more than 90 minutes. “What if that one time when it took more than 90 minutes it was your mom?” he asked them. 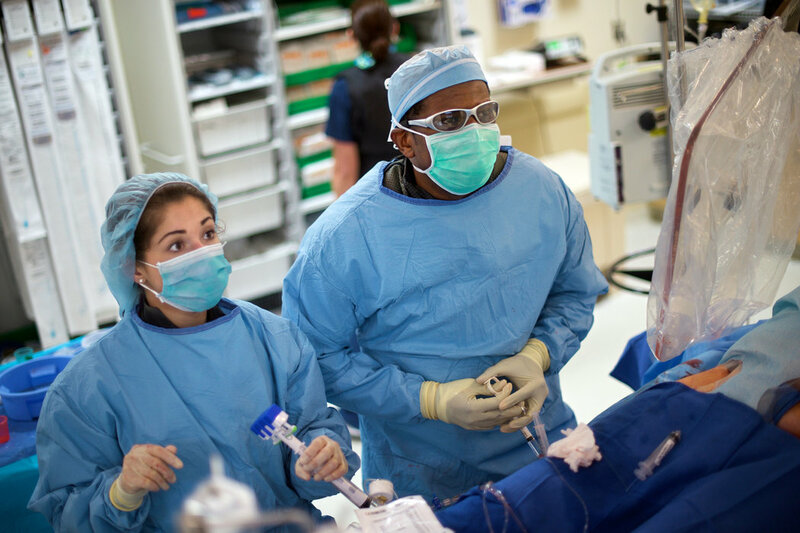 Staff members set up what they called the D2B task force, standing for door to balloon time — the crucial period from when the patient enters the hospital until the cardiologist can thread a balloon into the blocked artery, inflate it, push the blockage aside and let blood flow again. They broke down the process, looking for opportunities to shave off a minute or two. They decided to have paramedics do an electrocardiogram, which can show the characteristic electrical pattern of the heart that signals a heart attack, as soon as they reached the patient and transmit it directly to the emergency room. That meant the staff could spring into action the moment the ambulance pulled in. The hospital designated a beige phone on a counter in the E.R. for calls from paramedics. They eliminated a big time sink — the requirement that a cardiologist look at the electrocardiogram and decide if an interventional cardiologist, who would open the blocked artery, should see it, too. Why not just give the emergency room doctor authority to call in the specialist? 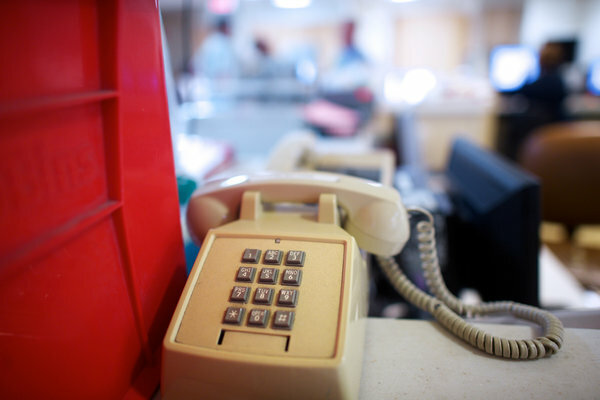 In another change, the hospital operator began summoning members of the heart attack team with a single phone call that sounded their beepers simultaneously. And each member of the staff on call was required to be within 30 minutes of the hospital. Karl Madrid, a nurse, now spends on-call nights at his parents’ house in Voorhees, N.J. Dr. Ibrahim Moussa, a cardiologist, sleeps in his scrubs at a Crowne Plaza hotel four miles from the hospital when he is on call. The relatively languid step-by-step preparation of patients in the emergency room was transformed. Now when a patient arrives, staff members swarm the stretcher and within five minutes undress the patient, place defibrillator pads on the chest, insert two intravenous lines, shave the patient’s groin where the catheter will be inserted and snaked up to the heart, supply oxygen through a cannula in the nose, and provide medications like morphine, a blood thinner, and a drug to control heart rhythms. One room has been designated for heart attack patients and is kept stocked with the necessary supplies, to avoid last minute scrambles for wires or catheters. And a requirement that long consent forms be filled out before the team could get to work was jettisoned. The hospital’s lawyers advised that in an emergency, the team could get by with the patient’s name, date of birth and Social Security number. The heart story began nearly a decade ago when Dr. Krumholz, the Yale cardiologist, had an idea. Medicare had created a national database showing how long it took hospitals across the country to get heart patients’ arteries opened. It was a bell curve year after year, and the times were not getting any better. But there were a few hospitals at the tail end of the curve that year after year were treating people in an hour or so. Dr. Krumholz and his colleagues visited the 11 best performing hospitals. They were not famous institutions or major medical centers, said Elizabeth Bradley, a professor of public health at Yale and a leader in the project. Some were community hospitals; others were far from major population centers. The investigators recorded every detail of how the hospitals got things done and ended up with a short list of what the stellar performers had in common — procedures Lourdes later adopted. They included paramedics’ transmitting electrocardiogram readings to emergency rooms, E.R. doctors’ deciding whether a person was likely having a heart attack, and hospital operators’ summoning treatment teams with a single call. These hospitals also continually measured performance. Dr. Krumholz said he was particularly struck by the role of emergency room doctors. Interventional cardiologists were giving up the power to decide if they and the entire staff required to open an artery needed to dash in, often in the middle of the night. At Yale, and most other places, Dr. Krumholz said, the procedures had been very different, with a long telephone chain of doctors and other staff members called one by one as precious minutes ticked by. “A patient would come in, and the emergency room doctor would see him,” Dr. Krumholz recalled. “He would say, ‘O.K. I think we should call the primary care doctor.’ The primary care doctor would say: ‘I think we should call a cardiologist. I wonder which cardiologist to call.’ Sometimes, the first cardiologist was not available, so another had to be called. The cardiologist would call an interventional cardiologist, the specialist who could open the artery. The hospital page operator would try to find phone numbers for nurses and technicians and start calling each one in turn. Finally, when the staff had arrived, the patient would be wheeled into the cardiac catheterization lab to have his artery opened. The problem was even worse if a patient went first to a community hospital that could not open an artery with a stent, said Dr. Nallamothu, of the University of Michigan. His group joked that a community hospital nearby was “30 minutes by car and three hours by ambulance” because it took so long for the community hospital emergency room to call the university’s emergency room and for the long chain of telephone calls to be completed. The Yale researchers then surveyed a random sample of 365 hospitals and discovered that those that used one or more of six specific strategies to cut down on the time it took to get patients to the treatment room and open their arteries did better than those that had not, and that as more strategies were used, patients were being treated increasingly faster. “We were shocked,” Dr. Bradley said. The results were so much better than she had hoped. Dr. Krumholz and his colleagues persuaded The New England Journal of Medicine to publish their already accepted paper in the same week at the end of November 2006 that the American College of Cardiology announced a national campaign to get hospitals to change their ways. Twelve hundred committed to doing so. Doctors and hospitals began competing to see who could have the best times. The initiative tapped into professional pride and a thirst to be the best. And, of course, hospitals wanted patients. Within a few years, times were dropping all over the nation. Note that Medicare assembled the data that got this ball rolling. Keep your government hands ON my healthcare. But then a debate arose. A paper by Dr. Peterson, the Duke cardiologist, and his colleagues, published in The New England Journal of Medicine in 2013, said that even though times had plummeted, the death rates for heart attack patients whose arteries were opened with balloons and stents had not budged. Could it be that faster just seemed better but that it actually made no difference to patient outcomes? “That was demoralizing,” Dr. Krumholz said. But he did an analysis that found that the universe of heart attack patients being treated with stents and balloons had changed markedly. It used to be just the younger and healthier people who were more likely to have their arteries opened. Now, as the procedure became more popular and so many more people were treated this way, the group included more older and sicker people. Dr. Peterson concluded that analyses like his and Dr. Krumholz’s had challenges. The problem, he said, is that it is hard to accurately compare treatments given at different points. Nonetheless, the consensus — which he shares with Dr. Krumholz and other leading cardiologists — is that the shorter times and improved medical care contributed to the declining death rates and better outcomes for heart attack patients. At Lourdes, the push to be faster — and to fix the problems that slow things down — continues. The weekend that Ms. Samuels was rushed to Lourdes, two other heart attack patients were brought in. First was Kevin Whisler, 43, a postal worker by day and forklift operator by night. He had been having what he thought was heartburn for two days, gulping Tums, Rolaids and Pepcid. Finally, on Saturday night, March 28, he went to an urgent care center, where a practitioner did an electrocardiogram and called an ambulance. Mr. Whisler’s doctor had prescribed a statin for his high cholesterol level and a medication for his diabetes. But Mr. Whisler said he thought he was too young to be taking pills every day and was trying to control his risk factors with diet. Doctors at Our Lady of Lourdes Medical Center in Camden, N.J., were able to clear Yvette Samuels’s blocked artery 55 minutes after she arrived at the emergency room. Around 1:30 a.m. on March 29 Ms. Samuels has a heart attack. She receives an electrocardiogram in the ambulance. Clock starts at 1:54 a.m. The ambulance delivers Ms. Samuels to the emergency room. 6 minutes Staff members prepare her for surgery. The emergency room doctor orders another EKG before paging the heart attack team. 9 minutes A single phone call pages the heart attack team. An operating room is prepared. 33 minutes The heart attack team begins to arrive. A cardiologist obtains consent from Ms. Samuels and prepares to move her. 41 minutes Ms. Samuels is moved to the operating room, where doctors begin surgery on her heart. 55 minutes at 2:49 a.m. A balloon and stent inserted into Ms. Samuels’s wrist and maneuvered to her heart clear her blocked artery. He was stunned by the speed with which things happened at Lourdes. Lying in his hospital bed the next day, he said he felt great and was going home in another day, inspired now to take his medications. But at a staff meeting the next Monday morning, no one was happy with Mr. Whisler’s time — 72 minutes. The reason though, had nothing to do with the hospital; it was an issue with the urgent care center. The peeved cardiologist who treated him, Dr. Thierry Momplaisir, complained that the center did not notify the hospital that it had a heart attack patient or transmit his electrocardiogram. The emergency department was not prepared for his arrival, and it took 12 minutes before Mr. Whisler had another electrocardiogram. When the doctor saw the characteristic pattern, she asked the hospital operator to page the heart attack team. Dr. Momplaisir was paged just as he was about to take a shower and go to a gala for the hospital. He pulled on his scrubs and jumped into his black Mercedes-Benz, speeding from his home in Villanova, Pa., in 20 minutes. But look at all the time that was wasted, he told the group. It took a speedy 55 minutes from the time Ms. Samuels arrived at the hospital until her artery was opened, but the time could have been even better, Dr. Momplaisir said. She had her heart attack around 1:30 a.m. on Sunday, March 29. The paramedics transmitted her electrocardiogram to the emergency room. The beige phone in the E.R. dedicated to heart attacks rang, and a doctor picked it up. “We have a Stemi, female, age 49, 10 minutes out,” a paramedic said. The only doctor in the E.R. that night was dealing with three life-threatening emergencies: a stroke patient and two people in respiratory distress who needed breathing tubes. The doctor, who declined to be identified for this article, explained her decisions to her colleagues Dr. Alfred Sacchetti and Dr. Blaber. She knew what to do when that phone rang — decide if she agreed the patient was having a heart attack. If she did, she would instruct the hospital operator to call in the heart attack team. But, Dr. Sacchetti said, the decision this time was not so clear cut. It was, he said, a judgment call. Ms. Samuels was only 49 and her symptoms, as described, seemed ambiguous. So the doctor decided to get the emergency room ready so that as soon as Ms. Samuels arrived, she could be evaluated and have another electrocardiogram. If she was having a heart attack, the cardiac team would be paged. That, Dr. Sacchetti said, was a reasonable course. But the cardiologist on call, Dr. Momplaisir, was annoyed. He rushed in from home, as he had for Mr. Whisler a few hours earlier, but 10 minutes had been wasted waiting for the ambulance to arrive at the emergency room before he was paged. The outcome was excellent, though — Ms. Samuels’s artery was opened fast enough to save her heart muscle. There was no permanent damage, Dr. Momplaisir said. Ms. Samuels is overwhelmingly grateful that she got to the hospital in time. “I am the face of life,” she said. She has diabetes and thought the problem must be low blood sugar. Her daughter gave her orange juice, but Ms. Pierce passed out holding the glass. Her daughter called 911. This time, the emergency room doctor immediately told the hospital operator to page the staff and the backup cardiologist on call; Dr. Momplaisir was busy with Ms. Samuels. The cardiologist, Dr. Moussa, was sound asleep in his scrubs in his eighth-floor room at the Crowne Plaza. He arrived at the hospital just as Ms. Pierce was being wheeled in on a gurney. She and her daughter were crying in fear as staff members converged on her. “Listen, we will get you through this,” Dr. Moussa said. Ms. Pierce started to crash by the time they got her to the operating room. Three of her arteries were obstructed and one was totally blocked, causing her heart attack. That one was calcified, making it difficult to push the artery open. It took 52 minutes to stabilize her and open her calcified artery. “I don’t know what they did, but the pain was gone,” Ms. Pierce said afterward from her hospital bed. If YOU want to follow my fight against Cancer from when it started and I first presented with symptoms in 1998 see The TAB at the Header of this Blog. called >DIARY of Cancer ….< just click and it will give you a long list of the main events in chronological order, many linked to specific blog postings. . Thoughts, articles and comments will be in chronological order in the main blog and can be tracked in the >ARCHIVE< in the Left Sidebar. . You may find the TABS >MEDICAL LINKS< and also >CANCER LINKS< of help, also many of the links in articles and >HOT LINKS< in the Sidebar. This entry was posted in Cancer, Cryoablation, Kidney Cancer, Magnetic resonance imaging, Surgery, Tumour and tagged A&E, Cancer, GL-W, Greg Lance-Watkins, Greg_L-W, Heart Attack, Labour Controlled NHS, MAU, Nephrectomy, SAU, Welsh Regional NHS. Bookmark the permalink.